The popularity and utility of security cameras have been increased in recent years depending on the reasons like security and safety purposes etc. Moreover, because of the advancement of technology, the security cameras are now availability in many shapes, sizes ad features depending on the need of the user. The security cameras come in both wired and wireless versions of these security systems. Although many of you might have the idea about the importance of security cameras, but there will be bit confusion between wired security cameras and wireless security cameras. Some people suggest you to choose wired security cameras whereas the some other friends will recommend you to go with the wireless security purposes. However, both the wired and wireless security cameras can be used for retail, banking and finance, transportation, education, commercial, government, and residential applications. The wireless versions offer much more flexibility and they can be placed almost anywhere. Whereas, the wired versions provides the constant video recording facility through the wiring cable. So, like this there are many key points to discuss about the wired and wireless security cameras. In order to sort out the doubts in guys, we have provided the below information about Wired Vs Wireless Security Cameras. 1 What is A Wireless Security Camera? 2 What is A Wired Security Camera? 8.1 Are Wireless Security Cameras As Good As Wired Cameras? 8.2 Do Wireless Security Cameras Need Power? 8.3 Are Wireless Alarm Systems Reliable? 8.4 Do You Need Internet for Wireless Security Cameras? 8.5 Is ADT Security Cameras Wired or Wireless? 8.6 How Long Do the Batteries Last in a Wireless Security Camera? 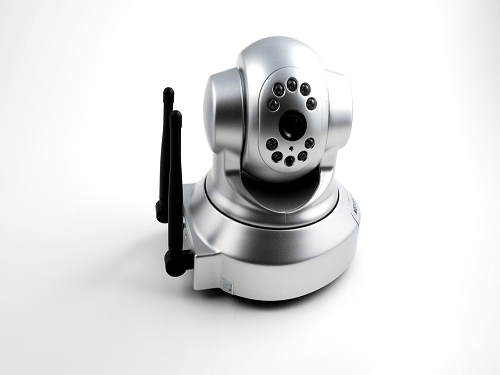 What is A Wireless Security Camera? Wireless security cameras are one type of closed-circuit television (CCTV) cameras that has the capability to transmit a video and audio signal simultaneously to a wireless receiver by taking radio band as the medium. The actual meaning of the word “wireless" refers to the transmission of video and audio. Although these wireless security cameras claim themselves as wireless, they require at least one cable or wire for power connectivity or supply. However, some of the wireless security cameras are battery-powered, making the cameras truly wireless from every section of the security camera. Whereas the other name for the Wireless cameras is simply wireless IP camera through which the user or operator can collect and stream data over the wireless network. And the remaining work that a wireless camera do is just as similar to the wired security camera. Furthermore, the wireless security camera does not need any expensive video extension cables and wireless cameras can be mounted and installed in locations previously that are unavailable to standard wired cameras. 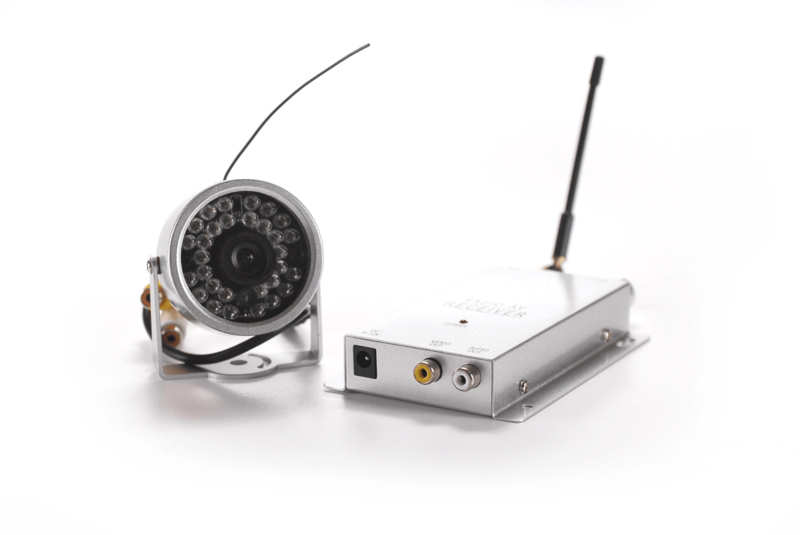 So, this result in low installation costs and flexible mounting options which are the main route for the Wireless cameras in order to prove themselves as very popular among modern security camera consumers. In addition to their ease of use and convenience of accessibility, wireless security camera allows users to leverage broadband wireless internet in order to provide seamless video streaming over-internet. What is A Wired Security Camera? Wired security is the most traditional type of surveillance security type of camera and used primarily on larger properties in order to cover the every space of the area. From their name itself we can come to conclusion about these wired security cameras that these systems require cables for power, internet connection, and video transmission. A cable that runs from the camera to a recorder must be connected to your router. There are two options for setting up a wired security system to power; you can supply the power to camera through a separate power cord or one POE cable. POE or Power over the Ethernet enabled systems will require only one cable which can provide both power and internet connection. Although the wireless security cameras are useful for the security purposes, they too have cons which are to known by the user before buying a wireless security camera. So let us discuss the wireless security camera advantages and disadvantages. They are completely wireless. So that these wireless systems offers extra protection. As they would not have any phone lines or something that can be easy to the intruders to cut the connecting wires which can disable the alarm system of the wireless security camera. The wireless security cameras are can be installed very quickly. Due to the reason that there is no need for drilling or tricky wiring, the equipment installation is easy with a wireless system. In most of the cases, wireless security cameras are a type of DIY, which eliminates costly installation fees. Wireless security cameras are portable and can be easily removed or replaced. As there are no wires that are to be taken out of walls which results in no need to call the professionals for uninstallation wireless systems. So, this results in conclusion that the wireless system equipment is incredibly easy to remove. Therefore, the renters are beneficial who wants to move their alarm systems to new living areas without having the fear of damaging their rental units. Wireless Security Camera is provided with the feature which supports remote accessibility. A wireless security camera’s equipment includes a special remote key fob, that arms and disarms the system and so, can trigger the panic button. Using a cellular technology, the wireless security camera will communicate. So, the user can activate these functions from their Smartphone itself. This is incredibly possible with remote access. Therefore the user won’t have to continually go to the security system’s control panel in order to set basic functions. A wireless alarm security system will easily syncs to other home automation features. And the tech-lovers especially who are looking for the wireless security camera to have the flexibility of wireless systems for easy modifications and upgrades to tackle. Due to this reason, the wireless systems are considered as the systems that have capability of home automation. A wireless home security package will also have the other automation highlights, like a smart thermostat, smart locks, and smart lights . They can be simply modified. As we discusses earlier, the wireless system equipment is easily upgradable and modifiable because it is not at all hardwired. The users are allowed to move these wireless systems and can add additional sensors. Techies who would like to tinker with their electronics will crave for the flexibility of wireless systems. They are to be installed only for certain limited distance purposes. Furthermore the devices which support the wireless systems have sensor limitations. So they are best suitable for small- to medium-sized homes. Generally the wireless security camera open-air range is up to 500 feet. They are extremely vulnerable to Interference. Though very uncommon, wireless security systems are susceptible to interference, like how Wi-Fi randomly disconnects or cell phones can’t find signals. Wireless security cameras are at risk of hacking. Burglars can hack into wireless security systems by jamming the signals which result in the alarm won’t set off. Some wireless systems also fail to encrypt or authenticate signals that are sent from the access point sensors like on windows to the main control panel. So, the user, who is opting or utilizing a wireless system, must enable encryption on their router and protect the Wi-Fi with a strong password. As they are battery operated in its nature, the wireless systems are often run on batteries. So the user must periodically check the battery life of the sensors and devices in order to recharge the battery for a continuous footage recording. In this section, the viewer can come to know the wired security cameras advantages and disadvantages in detail. The equipment that comes along with the wired security cameras are easy to maintain. Once a professional does all the initial setup of a wired system. Then the homeowners need not to worry about the added maintenance of regular battery changes. The reliability in monitoring the view is possible with the wired security cameras. Because the wired systems don’t depend on the sensors that communicate via radio frequency. So for this reason, they are extremely reliable. As long as the wiring is not damaged, or the phone line is not snipped. The wired monitoring systems are less likely to fail in its operations than wireless ones. The wired security systems are not that easy to get hacked. Wired equipment is much harder to hack than wireless security camera equipment. If someone wants to access any wired system then they should physically connect to a wired system. These wired systems are best for the professionals. Because of their reliability, security and consistency the hardwired alarm system connections are generally preferred by the corporations. Wired systems are best suitable for the large spaces. Systems that use wired equipment can handle more sensors when compared to the wireless systems. They can also install between multiple buildings of one property. The wired security cameras come with rich features. The wired security cameras will offer control panels in multiple rooms and top-of-the-line units with high-definition video surveillance. Wired Security Cameras are the permanent security solutions for surveillance purpose. 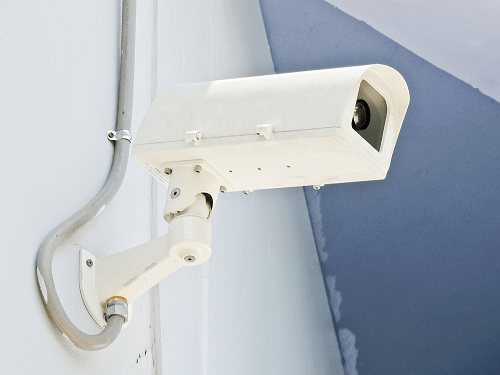 The wired security cameras results in high costs for installation and require professional help. Generally the professionals will install wired security equipment, which can result in expensive installation fees. Furthermore, the installation of the wired systems is difficult and involves in connecting sensors with low-voltage wires that are inside walls. So, this will require that the holes must be drilled. Moreover, the wired systems are difficult to move from one place to another place. Wired security camera equipment is a difficult task to uninstall. Also some of the security companies don’t recommend moving wired systems and may refuse to install old equipment in a new location. 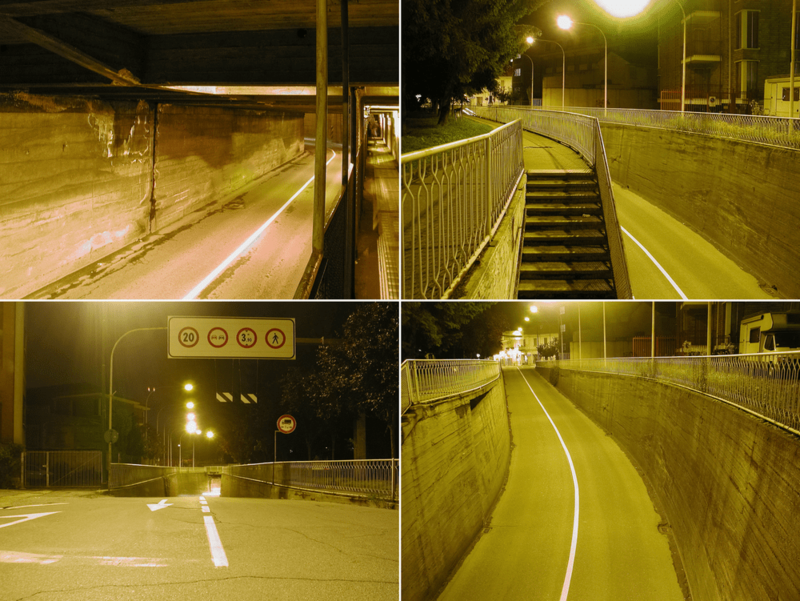 Accessibility of these cameras is possible only from one location. The wired security system control panel is the heart of the entire surveillance unit. Also the wired systems are armed and disarmed from only the main control panel but not like the wireless systems that can also be remotely operated. Homes with more than one storey may need extra and separate control panels on each floor for better accessibility. These wired systems are more vulnerable. Because if burglars want to disable a wired security system, they can simply cut the phone lines outside the house. Like their names, the wireless security cameras and the wired security cameras have some major differences between them. So, we suggest you people to consider these differences between the wired and wireless security cameras before buying a one for your surveillance purposes. The installation processes of a wired security system and wireless security system that involved are quite different. A wired security camera must be hardwired throughout the area you require to monitor with each camera connected to the central monitoring or recording unit. This hardwiring needs a drilling through walls and ceilings, climbing through insulation, and threading wires down walls. This work has to be done by professional installers and electricians. By contrast, wireless security cameras are the most common type of the security systems used in homes, as they are quick and easy to install. As we discussed in the previous sections the wireless security cameras are often done as a DIY project for installation purpose. The wireless security cameras are connected to their central system by radio waves. However, most of the wireless security cameras will have a wired connection to an electrical or power source. Otherwise, they come with a battery-powered option. Then, the wireless security cameras involves in an expensive option which further requires changing and/or recharging batteries regularly. However, the wireless security cameras can be placed anywhere inside or outside the home, as long as the user wishes to have them in the range of the central unit. They can also be repositioned if at all the user needs a change. The materials required to install the wireless system is usually costs higher than the materials cost of a wired system. However, the cost of professional to be hired for installation makes the overall cost of a wired system greater. The best way to reduce the cost of a camera system may be to sign a contract with a security monitoring service. This will helps the user in saving the installation cost. If not free, the cost for installation with a contract may save you amount little bit, regardless of the type of camera you choose. A professionally-installed, closed-circuit system can cost higher when compared to the wireless one. This is an constant price for a four-camera system, central monitoring and recording station, and all other necessary wiring. The cost for a wireless security camera system will be less due to the reduced requirements of the installation and it does not need to hire professional. A network attached cloud storage device or DVR with up to 4TB of memory will cost minimum price. Furthermore the price of this unit will vary according to the TB capability. During a power outage, the wired security cameras depend on a battery backup system. Furthermore, even the wireless cameras that are connected to the home’s electrical wiring should also have a battery backup whenever there is a power outage. Then this will act as battery in the unit. So, the users should go for a rechargeable lithium-ion battery pack that will be long-lasting and eco-friendly. The hardwired system used with wired security cameras will send power to each camera either via electrical wiring or PoE (Power over Ethernet Wiring). Therefore, these security cameras do not need to be placed near the electrical sources. If you want the connections of a wired security system to run through the walls, this will result in the most pleasing appearance. But in case of retrofit installation this is a difficult task. In such cases, a wireless security system is best suitable, can be less intrusive and provide a better visual effect. As there are no cables to be installed for a wireless security camera. Because of the wired connection to the home the wired security cameras tend to be more difficult to conceal. A wired security camera is apt for several protection zones, and this type is a better choice for a large home. On the other hand, the wireless security cameras trade portability for a limited range. Although the wireless security camera can be installed in a variety of locations but they must be placed within the home’s WiFi range. With the help of the repeater units, the range of installation can be extended further. However, they are still better suitable for smaller homes, apartments, and condos. The wireless security camera system is more user-friendly because of its capability of power and Internet access. If the wireless security camera system is connected to the Internet, the output from the camera can be linked to phone apps or outside computer programs through a simple interface. This will allow the user to view the footage from anywhere at any time and gives the user an access for remote monitoring. Also the higher-end cameras will permit the viewer to control the camera from another angle of the location, such as pan, tilt, or zoom. If the camera system is given the internet accessibility will allow the camera system to be integrated into wireless home security and home automation systems. Whereas, the wired security camera system is connected through many cables. So, the internet connected to the wired security system will result in reliability and constant output of the recording. According to the audio and video quality, the wireless security cameras were superior to wired security cameras. However, these days the wired security cameras take a lead in resolution. This makes the wired security cameras to stand equal to or better than a wireless camera, depending on the features of the individual unit. Wired security camera and wireless security camera can be either digital or analog type. Depending on whether the camera system is an analog or digital type, the camera’s resolution will be measured in two ways. The resolution of an analog camera will be measured by television lines (TVL) or by the number of horizontal and vertical pixels. Like for example, a high-resolution analog camera would be range of 700 TVL or 960H x 480W. Whereas, the resolution of a digital camera will be measured in megapixels (MP). As of now the high-resolution digital camera is 1.3MP. As we all knew that the higher number always means a higher resolution and therefore a clearer image. So, look for the camera which has the high resolution camera. A wired security camera system will not allow signal interference from wireless devices nearby, like a wireless system do. The interruption of a wired security system is possible with the circuit by cutting the connecting wires. If the burglars did this, then the alarm signal is triggered informing that the circuit has been broken. On the other hand, the wireless security camera system circuit can be disrupted by jamming or interference. Various wireless jammers are available for purchase online. But the alarm may not signal or inform that jamming has occurred. In addition to this, the wireless system operates in the same radio frequency spectrum will acts as a variety of other wireless devices. The wireless devices include cell phones, baby monitors, car alarms, radios, and cordless phones. Interference can takes place when the home’s structure is disturbed, bad weather, sunspots, or proximity to power lines. These signal distractions can interfere with the home’s security cameras resulting in loss of signal or other malfunctions. Again in this case also the alarm may not alert the residents of this interference. Furthermore, we also have an idea that if a wireless system is connected to the Internet will take the advantage of remote and integrated features. Then the hacking is possible very easily. If at all the cameras are hacked, they can be remotely accessed by someone unknown to view and can even manipulate the footage. Due to this kind of reasons a good Internet security is necessary to prevent this type of home invasion. And the user should keep changing password of a network n regular basis and the password must be unique. Whereas, in case of a wired security system, the circuit is perfectly closed and does not provide access to the Internet burglars and then the remote hacking is not possible. In this section, you people can check out one of the best wired security camera systems. So, let us get started. 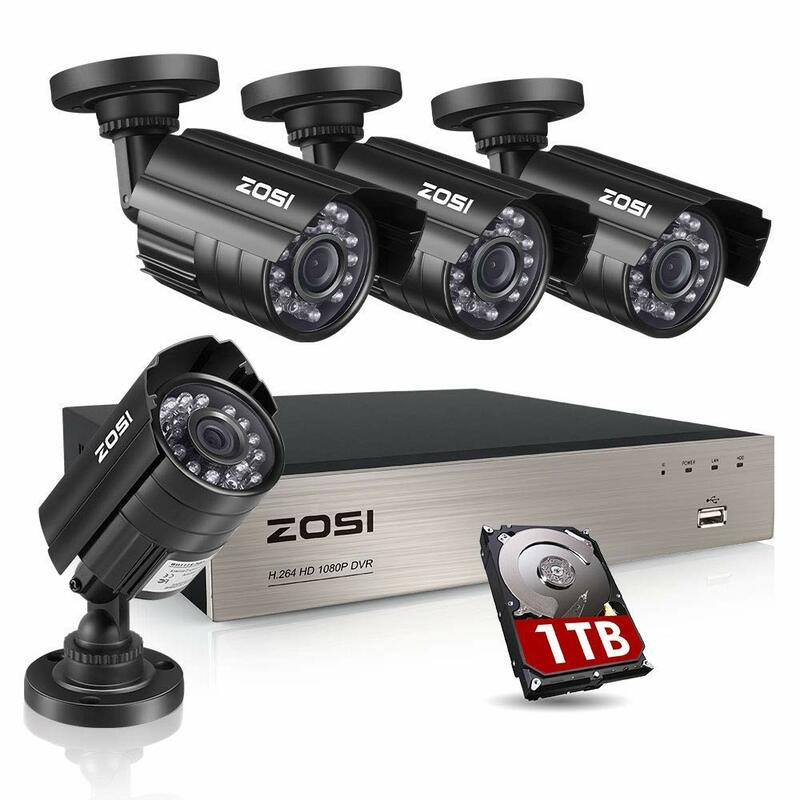 ZOSI Wired Security Camera is the best wired security camera empowered with advanced features. The ZOSI Full HD Security Cameras are well technically designed to meet the needs of the user. And this is one of the most efficient Security Camera that can support many features. Also, this ZOSI Full HD Security Camera has an excellent ability to transmit a digital signal through the Internet Protocol over a network. The features that were infused in the ZOSI wired security camera system are Image Sensor with 1 /3'' Colour CMOS along with IR-Cut, 1080P Resolution, 3.6 mm lens, IR LEDs range is 42pcs, 5mm LEDs, the Infrared Wavelength is 850nm, Infrared Distance is possible up to 120ft (40m), the material is enclosed with aluminium casing and the signal mode is TVI / CVI / AHD / CVBS 960H. Camera has weather resistance feature in it and is used high quality metal materials. So that entire system can effectively prevent rust, heavy rain or cold winter. Due to its weather resistant power this system can be installed in almost any outdoor or indoor place. High Quality IR night vision. It can be widely used in home, store, office, school and any place in order to protect your family, parents, baby, property and everything. Installation is a bit hard and may require professional but is really worth it. Sometimes it won’t connect to the WIFI networks. In this section, you people can check out one of the best wireless security camera systems. Among all the brands ZMODO Wireless Box Security Camera is the best one to choose for your needs. Because the ZMODO Wireless Security Camera will do its jobs perfectly for both the home and business purposes. Furthermore, it is available at an affordable price and would be definitely a wiser choice in buying this ZMODO Wireless Box Security Camera. The key features that were built in this ZMODO Wireless Security Camera are the resolution of this camera is 1280 x 720. It will provide an Angle of view with 81 degrees and the lens are 2.8mm in size. 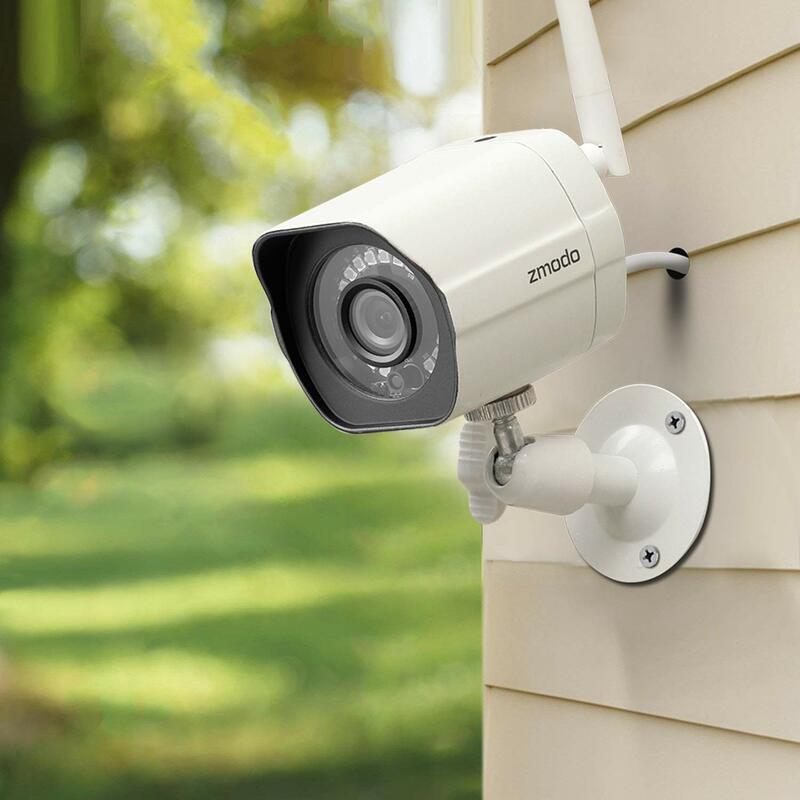 Also, the ZMODO Wireless security camera will reach the night vision up to 65ft and you can connect this camera to 2.4 GHz Network. And the specified encryptions of this camera are Bank-level AES 256-bit along with a platform of Android 4.0 and Up or iOS 9.0 and Up Smartphone. The speciality of this ZMODO camera is that when you are not in the place where you installed this ZMODO Wireless Security Camera. It will alert you via mobile phone whenever the motion is detected and send you motion video clips instead of still pictures in order to provide you with more complete motion details. The motion alert pictures will be saved in the ZMODO Cloud Service within 36 hours. Availability of free 30-day cloud storage through ZMODO Cloud Service. Enables the smarter night vision feature up to 65 ft. Provides you with multiple viewing options. ZMODO Wireless Cameras work along with the Alexa for the purpose of voice control. SD Card Slot is not available. Are Wireless Security Cameras As Good As Wired Cameras? Both the wireless security camera and wired security camera has pros and cons according to their structural features. As we discussed in the section of the pros and cons, the wireless security camera is best suitable for the small areas and need not require professional for installation. Whereas, the wired ones are must for large spaces. So they both definitely have their own qualities in them. Yes, the wireless security camera must be provided with the power or electrical source for operations. However, some wireless security camera will never run on batteries. Wireless alarm security systems are reliable because of the reason that they don't have wires which have the possibility to cut and they are unlikely to have their frequencies interrupted. So that they can capture footage 24/7. The wireless security camera can be worked on both local network and internet connection. If the user wants a reliable footage recording then the wireless security camera can be connected to either WIFI or Internet connection. Is ADT Security Cameras Wired or Wireless? ADT will provide both the hard-wired and wireless security cameras & systems. However, the user needs to sign a contract with the company and pay the monthly fees to utilize the systems. The wireless security camera’s batteries life span is around four to six months. Hello, I a Home Security expert from more than 10 years and I am mostly focused and dealing with the Security Cameras. I just want to share all of my experience and decisions with the People who are searching for their best security sols. Subscribe to take the best advantage of our experience…!